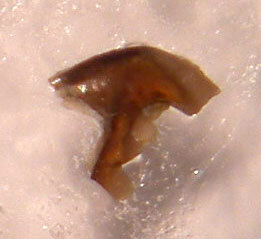 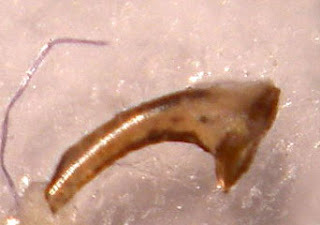 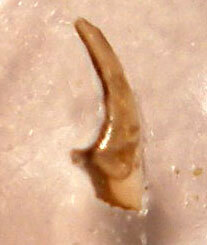 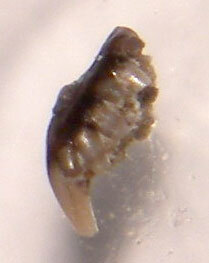 Pictures of conodont pieces from Jefferson County, Indiana. 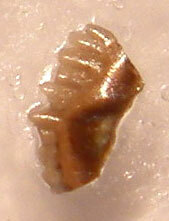 These fossil pieces belonged to creatures existing in the Upper Ordovician Period of Maysvillian-Cincinnatian Stage. 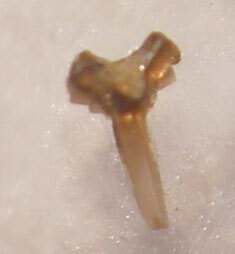 Every fossils is about 1-3 mm in length and have been magnified 20x. 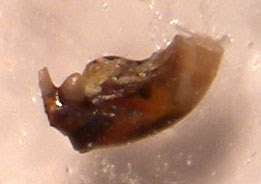 Note they are also glued down to a slides so there is a residue in the background.